Acoustical, noise, and vibration consulting services for buildings and the exterior environment. Acoustical consulting firm specializing in environmental noise control and architectural acoustics. Acoustical consulting, engineering, design and test services since 1959. C & S provides comprehensive program management, design and construction management for residential and non-residential sound isolation programs. Cerami & Associates, a woman owned business enterprise, is a team of consultants dedicated to providing state-of-the art solutions in acoustical & audiovisual design. Consultants in Acoustic and Performing Arts Technologies. 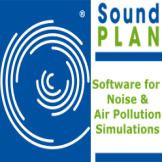 Since 1971, David Braslau Associates, Inc. solves problems in environmental noise and acoustics, both in areas of practical application and research. They currently provide a wide spectrum of services in acoustics and vibration. Independant consultants in architectural acoustics and audiovisual systems design. Mr. Wetherill specializes in the acoustics of religious facilities and classroom acoustics. F E R M A T A Audio and Acoustic, a New England company offering audio recording services and acoustical consulting. McKay Conant Hoover Inc. provides acoustical consulting services in all areas of Building Acoustics and Audiovisual systems. Medlin and Associstes provides acoustical consulting services for architechtural infrastructure and environmental projects. Noise measurement and analysis, expert witness, and noise-control design for both critical listening spaces and communities. Paul Carpenter Associates, Inc. is a nationally recognized environmental consulting firm known for providing outstanding air quality and noise services. Aviation noise consulting and planning firm founded in 1984. Consultation on product design for improved sound quality.